Loss of about three million jobs is real as government’s implementation of the 43 per cent increase in customs duty in the country takes its toll. 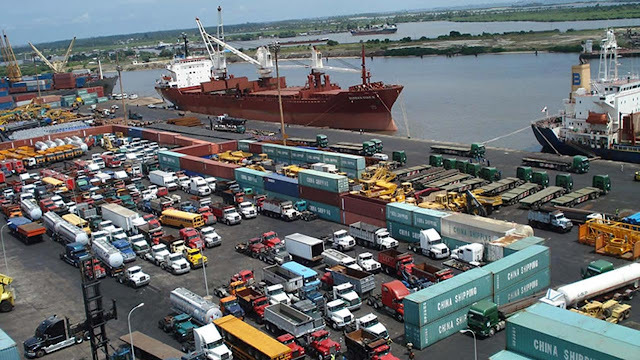 Agents and freight forwarders who are now closing shop due to poor patronage, say the increase in duty has begun to hit hard on importers, who also have to cope with the burden of the new exchange rate of N313 to $1, up from N197 to a dollar last year. The Nigeria Customs Services (NCS) increased duty twice in a month, in line with the new Central Bank of Nigeria (CBN) flexible foreign exchange (forex) rate policy. The first time was from July 1, when the customs directed that the dollar rate used for calculating import duty be increased from N197 to N286 to a dollar. Again, effective August 1, the calculations increased to N313 to a dollar. Indeed, it is estimated that about three million jobs in the industry are now being threatened, just as many operators are considering re-locating to neighbouring countries with friendlier policies. The Guardian learnt that the operators are currently groaning under intense hardship and are considering dialogue with the CBN and the Ministry of Finance. The National Association of Government Approved Freight Forwarders (NAGAFF) lamented the stifling of its members’ businesses due to what it described as the “seeming irrational” exchange rate of N313 to $1 being used for imports assessment in Nigeria. Similarly, agents under the aegis of the Association of Nigerian Licensed Customs Agents (ANLCA) are groaning under the new exchange rate pressure. President of ANLCA, Olayiwola Shittu, told The Guardian that the policy was capable of truncating the gains made in the maritime sector if not reversed, warning that members might be forced to withdraw their services. Against the widely reported plans to shut the ports, Shittu said his group was not planning any such action, but the members might withdraw their services when businesses are no longer forthcoming. According to him, it’s unfair to compel Nigerians to open form ‘M’ for imports at N197 to $1 “and now force them to pay N313 after the goods have been shipped. National Publicity Secretary, Stanley Ezenga, said the aggrieved stakeholders would make appropriate representation to the government through the CBN and urge the benchmarking of the exchange rate. The President, Shippers Association, Lagos State, Jonathan Nicol, said the situation was already posing a threat to the jobs of over three million workers in the sector. Nichol noted that with the new forex regime, shippers are paying more duty while the costs of goods are skyrocketing. Meanwhile, the NCS has absolved itself of blame for the duty hike saga, noting that the CBN is the agency prescribing the rate for foreign exchange which is used to charge duty. The Comptroller-General of Nigeria Customs Services, Col. Hameed Ibrahim Ali, assured that the agency would continue to monitor inflow and outflow of goods and promote the balance of trade agenda of the government. Ali, who was in Lagos at the weekend to inspect some seized containers at the Apapa Ports Command, said Nigerians should endeavour to increase local production in order to reduce dependence on importation.